With a Pal Like this, Who Needs Enemies? On “Kuchen”: He told us he had gone to the Alte Pinakothek to have cake… the best he has ever had… and was just amazed about the word “Mutterkuchen” (for placenta). On the title and cover of his new book: That Walmart didn’t like it and wanted a different cover because they found it “depressing”, but he said a store that creates so much ugliness in the world should not even have the right to use the word “depressing”. 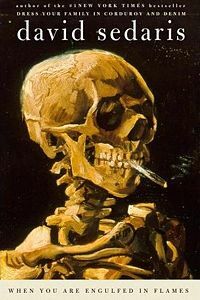 Wasn’t it van Gogh, who painted this picture?